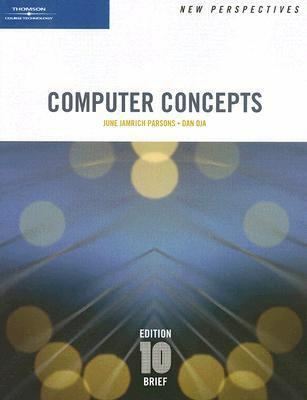 Be engaged, excited and enlightened with the New Perspectives on Computer Concepts, Tenth Edition. This book has been completely updated to provide you with the latest, most in-depth information on both computer concepts and the context in which they fit into todays world. The Tenth Edition provides the most current information on computers, software, the Internet, and emerging issues and technologies. The New Perspectives unique approach transforms learning concepts into a more approachable, hands-on experience that appeals to anyone, from the computer novice to computer savvy learners.Oja, Dan is the author of 'New Perspectives on Computer Concepts ', published 2007 under ISBN 9781423906087 and ISBN 142390608X. Loading marketplace prices 5 copies from $1.65 How does the rental process work?